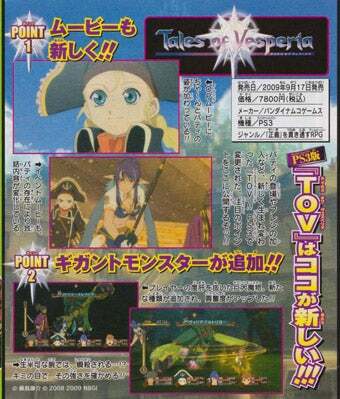 Former Xbox 360 exclusive, current multi-platform title Tales of Vesperia has a release date — very important for a game that's going to be, well, released. On September 17, the game will be released in Japan. Priced at ¥7,800 (US$79), the game features new character, pirate girl Patty. She'll even be appearing in the game's opening cinematic!